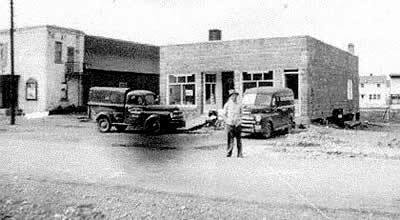 1942 saw the revival of the community when Brompton Pulp and Paper Company purchased the property of the defunct Lake Sulphite Co. 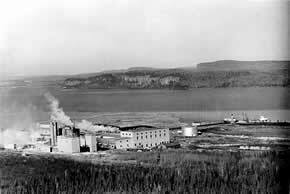 The purchase included the existing buildings, the dock and the extensive timber limits in the Nipigon area and the Nipigon ground wood mill. The goal of the company was to establish an integrated mill to produce various grades of Kraft liner and corrugated boards. After many delays, actual construction began in 1944 when a paper machine was purchased from a mill in Bromptonville, dismantled and shipped to Red Rock. July 20, 1945 was a red letter day for the community and is the reason we’re having a 50th Anniversary celebration in 1995. That was the day the Improvement District of Red Rock was incorporated and the first board was appointed. 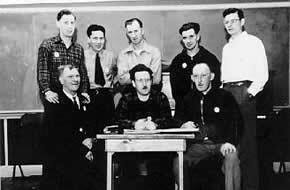 Members of that Board were Chairman Mr. F.D. 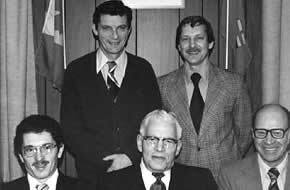 Taylor, Mr. G.Arola and Mr. M. Sawchuk, the Town Clerk-Secretary was Mr. H.Keith. Another cause for celebration in 1945 came in October when the Mill began producing unbleached Kraft pulp, 16 point liner board and 9 point corrugate medium. Within a short time 200 tons of paper was being produced on a daily basis, and the hourly wage was only $0.63 per hour! In conjunction with the success at the Mill came the development and expansion of the townsite. 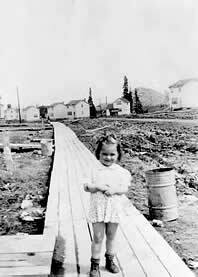 By 1945, there were nearly 100 brand new homes for occupancy by mill employees and their families. The wives of those mill employees have some interesting- and not always flattering- tales to tell about the infant community, where high rubber boots were the order of the day and life was isolated and conditions less than perfect. However, the next few years brought many new changes to the town as businesses were established and some amenities were added. By 1949, there was a new store on the corner of Salls Street and White Boulevard, which also housed the bank. Next to it, a theatre was built and across the street stood a brand new Public School with 352 students enrolled. Two railway stations replaced the converted boxcars that previously served as stations. At the corner of White Boulevard and Brompton Road, construction of St. Peter’s Church was underway. Just as important as the buildings that sprang up was the community spirit that developed right along with them. The citizens of the town took it upon themselves to create a fulfilling lifestyle for themselves and their families. A spirit of volunteerism and cooperation came to the forefront as everybody got involved. 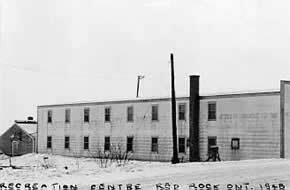 In 1944, the Red Rock Recreation Club was formed and what a club it was! 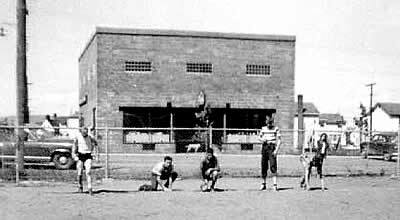 The mandate of the Club was the development of both recreation facilities and programs for the people of Red Rock. This they did in fine style. Within a couple of years, a tennis court had been completed and in 1947, volunteers had built a rink with two sheets of curling ice. An outdoor skating rink provided many hours of skating pleasure for the children of the community. 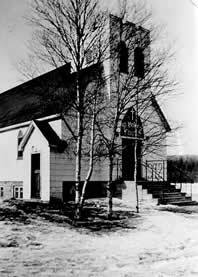 As the town grew, it became apparent that a Recreation Centre would be beneficial to the community and in 1948, the Centre was built. 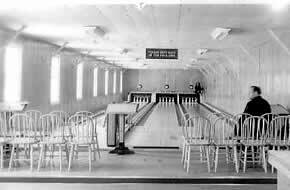 It housed bowling alleys, hockey dressing rooms and a snack bar. Several other clubs and organizations were initiated to enhance life in the community. One of the most active of these clubs was the Fish and Game Club. 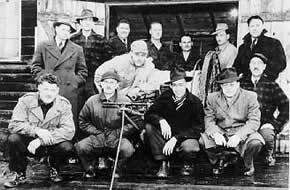 This club not only promoted hunting and fishing in the area, but also sponsored several other sports including a bowling league. 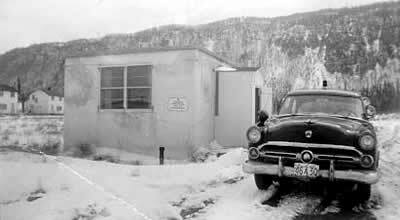 After a clubhouse near the mouth of Trout Creek was completed in 1948, many social events were hosted by the club. Through the efforts of some of the ladies of the community and the donation of used books, a small library was set up in the Red Rock Inn. Activities for the children were also a priority, so adults in the town began organizing hockey leagues, baseball leagues and in the late 40’s, both Cubs and Scouts and Brownie and Girl Guide troops were formed. Red Rock Legion Branch was formed in 1949 and an enthusiastic group of veterans began to work together for a branch in Red Rock. A volunteer fire brigade took on the task of providing fire protection to the community in 1948.